Backed by dexterous workforce and sound infrastructure, we are able to manufacture and supply a broad array of Fly Wheel Ring Induction Hardening Machine. 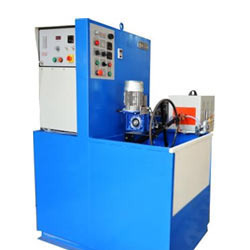 Offered hardening machines are used for hardening of fly wheel ring in auto part industries. These machines are made using high grade raw material keeping in mind the requirements of patrons.